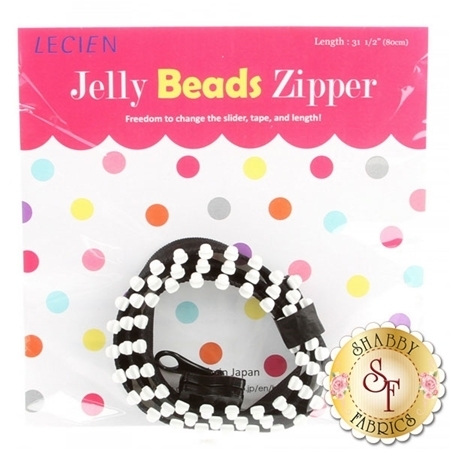 The Jelly Bead Zipper is such a fun and useful addition to your project! Each package contains a 31 ½" zipper tape and one slider. 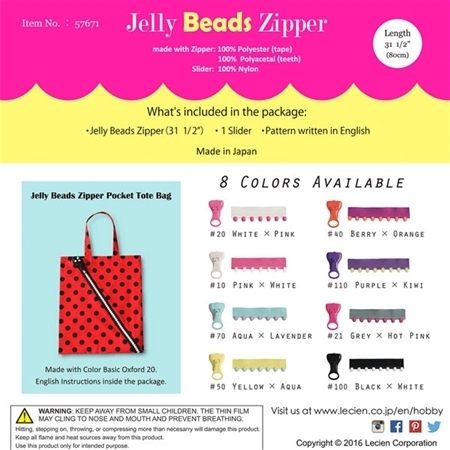 A pocket tote bag pattern (written in English) is included as well!